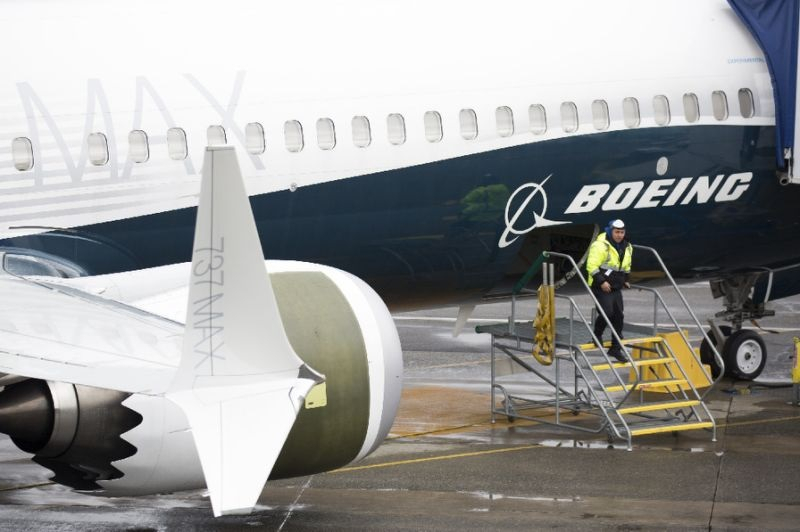 New York: Boeing announced Friday it would cut the production schedule of its 737 aircraft line following the two recent crashes that have seen the 737 MAX grounded worldwide. The Federal Aviation Administration (FAA) earlier this week said more work was needed before the aerospace giant could even submit a proposed fix that is believed to be a factor in the disasters. "We are coordinating closely with our customers as we work through plans to mitigate the impact of this adjustment," Muilenburg said in a statement. "We will also work directly with our suppliers on their production plans to minimize operational disruption and financial impact of the production rate change." Scrutiny has centered on the plane's anti-stall system, Maneuvering Characteristics Augmentation System, which is believed to be at least partly at fault. The Washington Post reported on Thursday that US regulators had ordered Boeing to fix a second flight-control problem, not related to MCAS, but which officials nevertheless deemed critical to flight safety. "The committee will confirm the effectiveness of our policies and processes for assuring the highest level of safety on the 737 MAX program, as well as our other airplane programs, and recommend improvements to our policies and procedures," Muilenburg said. "Safety is our responsibility and we own it." Shares of Boeing fell 2.3 percent to $382.92 in after-hours trading.